Want to do more than just chatting with your Fb friends? It just could be that Facebook have heard your plea with the Facebook Messenger. Now, not only you have the option to chat with your friends, but also share your world with them in a full-fledged manner, all from your smartphone. (Umm..quite literally). Facebook messenger opens a door to an all-new multimedia sharing world as it is now possible to share pictures, videos, current locations, and also have group chat with just one click. Usually Blackberry owners were the more privileged ones with the BBM services, and only through BBM were the above mentioned activities possible as even the new iMessage feature on the iOS 5 is limited to iOS products. Facebook messenger makes complete sense, as almost everyone with a smartphone is hooked onto Facebook. The biggest strength of the Messenger and the attribute which will help it to rub shoulders with the mainstream IMs will be the cross-platform support; Android users can happily share files with iOS users without any limitations and restrictions. 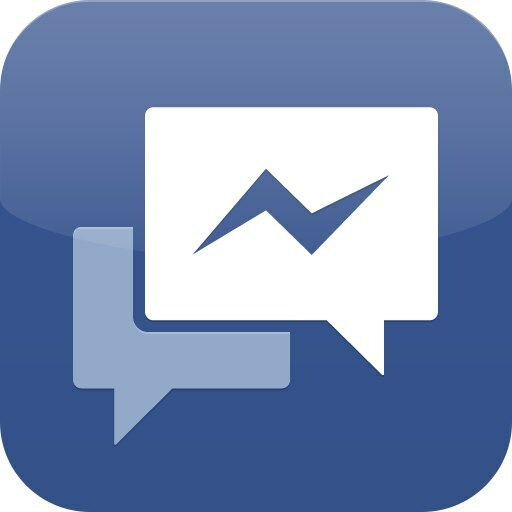 Facebook messenger on many occasions feels, responds and looks like the Blackberry Messenger. For instance, in the updated version 1.5, users can now see when the recipient is typing. Another big plus is the ability to send text messages from the app to non-Fb messenger users. Its a complete IM solution with the most intuitive form of sharing integrated into the entire system, at the same time, not being platform-specific. The updated version is available across Android, iOS and Blackberry, and brings in support for additional 12 languages for iOS and 22 languages for Android. There is also a new-improved way of messaging contacts whom you message most often. The whole User-Interface of the product is very clean and also to a certain degree bears a resemblance to the Facebook mobile app. Facebook Messenger is a free app and has no limitations when it comes to usage and functionality. There is also no activation fees after a certain time involved. All Fb addicts should give this app a try and discover the endless possibilities of Social Networking via Facebook. Blackberry users visit fb.me/msgr from your Blackberry Smartphone, as direct search does not show Facebook Messenger in the App World.